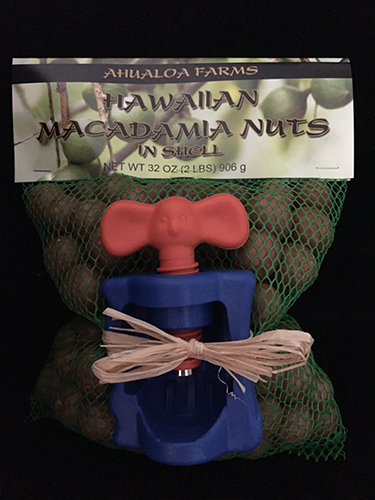 A fun handheld macadamia nut cracker made in Australia with two pound bag of Hawaiian macadamia nuts. These nuts are dried for easy cracking but are not roasted. This cracker requires ample strength to operate.